Automotive giant Mahindra isn’t just dipping its toes into the pool of autonomous electric vehicles; it’s diving in head-first. A report from Autocar says that the Indian conglomerate is set to pursue the development of autonomous EV technologies in order to present a product range of autonomous electric cars for its six automotive brands. Mahindra CEO Anand Mahindra told Autocar that resources from all of its brands will be open to one another for the purpose of developing these technologies. It’s worth pointing out then that among Mahindra’s vast number of companies, six of them are automotive brands while another four are IT brands. The rest are made up of different specializations, including production, research and development, and the company’s own Formula E team. The objective, according to Mahindra, is to have all these companies share their respective expertise to fast-track the development of autonomous electric vehicles. Doing so would mean that one company can rely on the strength of another and vice versa. The end game for Mahindra would be to have an autonomous electric technology that it can use on its brands, and just as important, it wants the technology to be at least on par, maybe even better, than what other automakers will develop on their own. 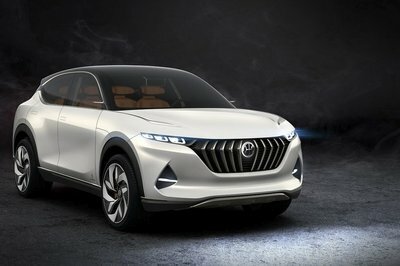 Once the technology is available, the resulting EVs would be first badged under the Mahindra brand, before expanding to the company’s other auto brands, including Ssangyong and Pininfarina. No timetable has been set on when the technology will be available, but with the manpower and the resources already in place for Mahindra, it wouldn’t be surprising if the Indian multinational firm is one of the first ones to have a breakthrough in the development of autonomous electric technology. It’s easy to look at the Mahindra Group and dismiss it out of sheer ignorance on how big the company really is. But those who know the capabilities of the Indian conglomerate understand that when Mahindra announces an ambitious plan like this, it’s going to pursue it with arguably one of the biggest resources in the auto industry. Think along the lines of Toyota and Volkswagen. When thinking about autonomous electric technology, the Mahindra Group can tap into a number of industries where it has a significant presence. Be it in aerospace, information technology, energy, or components, there’s an enormous list of available resources that can be used to develop autonomous EV technology. That’s the kind of cache that the Mahindra Group has. Dismissing them outright because it doesn’t have the name of a Toyota or a Volkswagen is foolish because the truth is, the Indian conglomerate has just as many, maybe even more resources at its disposal. One day in the future, the Mahindra Group will accomplish what it set out to do and we’re all going to look back on why the multinational firm was able to develop autonomous electric technology from under the radar. Except that it didn’t do it that way. It served notice of its plans and tapped into its wealth of resources to accomplish it. And one day, who knows, we might be able to see a Pininfarina-styled autonomous electric vehicle. Wouldn’t that be something? That’s going to happen because Mahindra put in the work to make it happen. It’s a tremendous strategy that we should all pay attention to as early as now.